This means that paint products will always be needed and will always be in demand especially for our country with a population of more than 190 million persons. A lot of people have already discovered this gold mine and With the right business plan and execution, you can make millions from paint production business. It doesn’t matter whether you want to start big or small. Just begin then couple it with the right marketing and proper management, and you will make good returns. 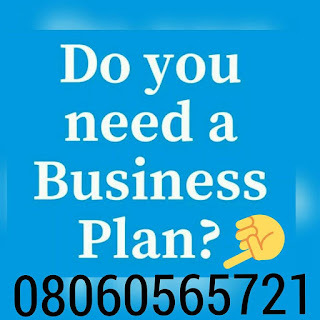 After payment text your name, your e-mail address and payment details to 08060565721 and you’ll receive your PAINT PRODUCTION BUSINESS PLAN IN NIGERIA / FEASIBILITY STUDY. The initial step you need to take is to register your business with the Corporate Affairs Commission (CAC). When you go for this registration, you have to register as a Limited Liability Company (Ltd). When you have done this, then you are good to go. A very major factor that will contribute to the success of your business is how close to the target market it is and how easily accessible it is. This will save you time and you will deliver your goods faster. Your business has to be close and accessible to your customers so it will be easy for them to locate and patronise you. It is not right to jump blindly into production. you have to make appropriate plans and determine exactly how much you have and how much you will willing to produce. You have to put a lot of things into consideration to achieve this . You can decide that your production will either be small scale, medium scale, or large scale. If you plan to go into small scale production, you can comfortably commence production from your house. •The solvent: Most of the sought after paints that are in high demand in Nigeria are either oil based paints or water based paints. While the oil based paints are shiny and glossy, the water based paints are not. •Pigment: This determines the colour of the paint. You can purchase all these materials and much more at the market. When you have acquired the required materials what will be left for you to do mix them properly taking appropriate note of the right quantity of each of the ingredients. After this you package them and you are ready to make your sales. As you can see it is not a difficult task. Just ensure that you don’t compromise the quality by using inferior materials. Chemicals are required in the production of paints and they are used to produce paints such as Emulsion paints, Texcoat paint, Silk paints, Screeding paints, P.O.P. paints, Satin paints, Stucco paints, Road marking paints, Anti-rust paint, Primer undercoat paints, Aluminum paints, Fire retardant paints, Gloss Oil enamel, Mosquitoes Insect repellent paints amongst others. These chemicals are available and can be easily purchased in the market or any other place where chemicals are sold. Water on the other hand which is equally a very important ingredient can be easily gotten anywhere and even without any cost. •Water : Water is used to mix and join all the chemicals for the production of the paint. Please take note that it compulsorily has to be hot water. The water can be of any type provided it is clean. •Titherni: This is a whitening chemical usually in powdery form. It can be found any where that paint chemicals or industrial chemicals are sold. •Calcium carbonate : This chemical is in powdery form and bagged but it is mostly identified by the CalCo written on the bag. •Colourite: This is a very important chemical that plays a huge role in the manufacturing of the paints. You can have primary colours or you can mix the colours in the right proportion to get a particular shade or colour. It is not a big task as you just have to make judicious use of your imagination. Have you ever wondered why some surfaces rub off or become dusty and powdery after painting. This is because the wrong usage of this chemical. It is in a liquid form and should be used properly to avoid a dusty surface that will easily rub off after the paint has dried. If you have decided to go into small scale production then there are a lot of things you wouldn’t need to spend money on to start up. For instance you won’t need a factory as you can even start from your back yard. You won’t need some equipments such as mixer as you can mix your ingredients manually. You won’t even need electricity so you don’t have to bother about light bills or money for fuel for your generator. Your capital will mostly go into purchasing the needed ingredients and packaging for sale. And just like that with as low as 50,000 naira or even less you are already making money. However you have to ensure that your product is of good quality as that is what will attract and maintain your client base. If you plan to engage in medium scale production then you have to consider having at least a small factory. For this type of production. You will need a small factory and you will have to purchase some equipments so that your work can be faster. Examples of the machines you have to purchase include, mixing tank, sand mill, paint filter and a truck. You especially need the truck so you will be able to make quick deliveries. You also have to consider employing some staff as you can’t possibly handle and oversee the while process from the purchase of materials, production and delivery. Engaging in medium scale production would take roughly 2 to 10 million to start. If you want to go all out and engage in Large scale production then you’ll have to go all out. Engaging in large scale production will take about 15 million naira to start up. You also need to purchase some machines such as an automated paint production plant. You might feel like you are spending a lot of money but this is an investment and a profitable one at that, and with everything in place, you will have a lot of returns as you can sell a 20 litre bucket of paint for about 14-25,000 naira depending on the type of paint of course. Now if you sell 100 litres daily, you’ll be making N70,000 per day. So you see, your investment is safe. Irrespective of the scale of production that you want to go into, you need to have a good marketing strategy so you can attract and keep your customers. You have to treat your customers right as this will determine whether or not your business will succeed. You can also diversify your mode of distribution to make sure you get to as much customers as possible. You also have to make sure that you are easily accessible so that your customers can locate you easily. It is no news that the major source of revenue in the country is oil. This does not just apply to the government but also individuals. Everyone believes that it is a goldmine. The implication of this is that other sources of income and revenue are totally ignored, one of which is the paint and coating industry. Is it surprising that hundreds of millions of liters are sold annually, making it up to half a billion dollars in revenue and no one is taking notice. Getting into the paint and coating industry is indeed a very rewarding venture and one of the outstanding reasons for this is that there are presently no governmental regulations or registration processes for those who want to start up and for those already in the business. Therefore starting up and operating is just a question of how much can you afford. Other factors making the paint and coating industry a very lucrative one are as follows. Low cost of start up. There are actually a lot of profitable ventures that one can get into but a discouraging factor that always arises is the cost of startup. Sometimes it is so high that people have no option but to either borrow from people or obtain loans from the bank. That is not the case with Paint Production Business. You can start as little as you can, so there is no pressure to look for funds, get an office, hire staff and all the rest that is required to start a business. You can even start from the back of your house with as little as two drums that you can buy for as low as N10,000. Buying the chemicals will be what will consume most of your capital, but once you’ve made your first batch of sales, you are good to go. Just be sure that you know what you are doing and the best way to do that is to get the right training, and acquire the right chemicals, materials and apparatus. If you are really low on cash, you can make do with drums and buckets and start from there. When you have started making sales, then you can start acquiring other tools to make production easier and faster such as an electronic mixer. Just get the jobs or contracts first, then make use of the proceeds to acquire other basic necessities such as the buckets for packaging and branding. This is just for a start then you can keeping making progress. Scaling poses as a very serious challenge for most businesses but that does not have to be a problem when it comes to paint production as it is not so difficult to scale. You might be wondering what scaling is, scaling is growing the business to a stage where you do not have to stress yourself to work rather your staff will be doing the work for you. You have to be ready to sell yourself, be ready to sell your product as you don’t know how you’ll meet your miracle contact. Just imagine getting a contract to supply all the paints that will be used in an estate or for a line of hotels. Yeah be ready to identify every opportunity that comes your way and be prepared to maximise it. There is little to no government interference when it comes to paint production in Nigeria today. So there is no expense made by paying all the rates and fines imposed by the government. So you can make your plans without fear of any sudden imposition by the government which you must meet. Nevertheless, it advisable to make the most of this opportunity as drastic changes can be made out of the blues. Paint production is a venture that can be passed down as an inheritance and as it keeps passing from generation to generation, it keeps improving and growing till it becomes a household name to be reckoned with. So don’t just think about cashing in immediately, also consider how you want the business to be in the long run. Think about posterity and make sure everything is in place to achieve that. Nevertheless, you have to be aware of the fact that if this is your plan, you need to have a system that your children can step into and carry on. They don’t have to come into a scattered organisation. So grow your business, put workable systems in place, hire the appropriate staff and bear it in mind that this is a business that you don’t want to end with you but one that will continue even after you and still be well taken care of. What people are concerned with is the finished product and how good it is. They don’t care the location it was produced at. You can even make the productions at the back of your house in as much as you have the right materials to do so. All that matters is are they of good quality? Where the right materials used? Are the customers satisfied? If all these questions are answered in the affirmative then there is no need for alarm. So you clearly see that production space is not a problem. Even if you don’t have enough space you can ask from family, friends and even neighbours, surely you’ll get a space to kick off production. A little advise that will help you go a long way is to take it one bit at a time. You shouldn’t jump a process because your experiences are what will keep you at the top. First and foremost you have to be trained so you know exactly what to do and when to do it. After that look for your clients so that immediately you are done producing, it is picked up. That way your products are acquired as soon as you are done producing and you get your money fast without having to bother so much about how soon you will make sales and realise your profits. From there you can make your steady and sure growth.